First Images Received Private Weather Satellite, WNSAT-1 Steady Progress Toward Polar Routeing Service This Summer – Weathernews Inc.
Weathernews Inc. (Chiba, Japan; RMD: Chihito Kusabiraki) and Axelspace（Tokyo, Japan; CEO: Yuya Nakamura）have announced that the first images have been received from the jointly developed compact weather satellite, WNISAT-1 since its launch last November. The images published here (see page 2) are test shots taken during the satellites initial operations. Both companies are continuing to proceed with preparations for the start of full-fledged Arctic ice observations in time for this summer’s Arctic passage openings. 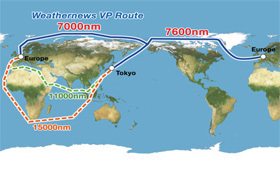 To support safe shipping operations based on more accurate sea ice prediction for vessels sailing via the Northern Sea route, Weathernews and Axelspace began developing WNISAT-1 in 2008 in order to establish proprietary sensory infrastructure independent of the established space industries in Japan. After several delays at the launch facilities in Russia, WNISAT-1 was finally launched successfully on November 21st, 2013. Initial operations started up the following month with test-shots of Arctic ice to confirm the onboard camera’s operability. Now, the first image data has finally been fully received by Axelspace and the SVOC (Space Vehicle Operations Center). Technicians at the SVOC at Weathernews Global Center in Japan will continue to make preparations like adjusting parameters for image collection for the start of Arctic ice observation this summer. 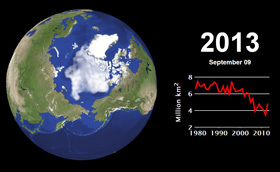 In recent years, there has been a trend of sea ice in the Arctic melting faster, and in 2005, the Northern Sea route opened for the first time in history. In 2009, the world’s first commercial shipping voyage sailed through the seasonal opening. The global shipping industry has been eager to capitalize more on the Northern Sea Route as a shorter and therefore more fuel-efficient alternative to sailing around the Cape of Good Hope in South Africa, or through expensive and busy canals like the Suez. A voyage via the Arctic is half the distance of a typical route via the Cape of Good Hope, thus reducing vessel bunker consumption and in turn CO2 emissions released by their engines. In order to realize polar voyage operations safely, Weathernews established the Global Ice Center and a team of specialists in 2008 understanding the need for detailed observation data of ice in the Arctic. In 2011, Weathernews began providing Polar Routeing Service to support shipping companies choosing the Northern Sea Route. To make even more accurate predictions of sea ice, Weathernews entered in to a partnership with start-up Axelspace to develop the first private weather satellite dedicated to ice monitoring. 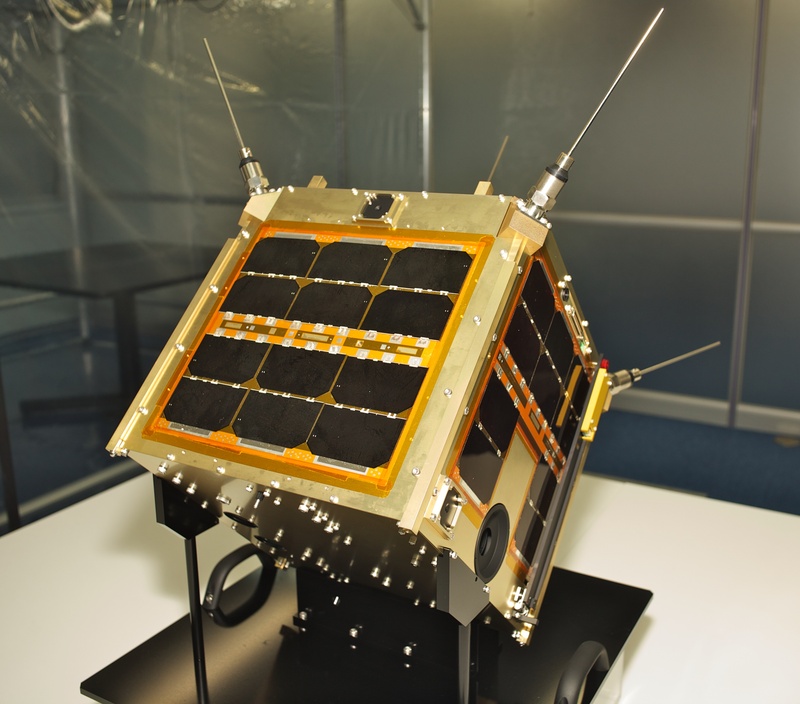 The result was the ultra-compact, WNISAT-1 which achieved orbit on November 21st, 2013. Starting in March of 2014, Weathernews will begin to use data from the satellite in Ice Route Service for areas other than the Arctic, and then to enhance the effectiveness Polar Routeing Service to this summer.